As my baby reaches her 6 month milestone, I’ve realized that I overstocked on baby stuff. However, I’ll never regret my collection of second hand clothes that I’ve collected since my pregnancy. I watch out daily for mamas posting their giveaways. Baby clothes are expensive and my baby has gone through multiple growth spurts. She’s worn outfits once and many, she hasn’t worn at all. Many moms selling lots of 40 to 50 baby clothes for $10 to $20; many for free. I highly recommend getting with mama groups and virtual garage sales in your area on Facebook. We’re set for clothes for the next 2 years. She’s 5 months old wearing 9 month clothing already. As a thrifty buyer, I’m in the habit of overstocking. However, I’ve sent my overstock to my sister-in-law who is expecting in March. I divided all the clothes I’ve had so far into 2 groups: save for my future babies and pass to my sister-in-law. I have to say that shoes have been a total waste of money. My baby has 43 pairs of shoes with 6 pairs she’s outgrown already. A good bulk of the shoes are bigger sizes for when she starts walking but I don’t imagine her walking independently until after she’s a year old. Clothing: As I mentioned above, clothes are important. Regular everyday onesies and jammies are needed. High-end and dress outfits should be limited. Socks and mittens aren’t helpful and slip off all the time. It’s more annoying than helpful. Diapers: I felt that The Honest Company diapers and wipes were too crispy and caused redness. After the first month, I changed to Amazon.com Subscribe and Save program. I subscribe to Pampers diapers and wipes in bulk. There isn’t a huge savings but it gets delivered to my house monthly which is a huge help when working full-time. Baby Gear: We’ve only used the Baby Jogger City Select Stroller a handful of times. When we used it, I connected the compatible bassinet I bought second hand for $40. The age range for the bassinet was from newborn to 6 months. My baby only fit in it until she was 3 months old. Right now, she’s in the in-between phase were she’s too big for the bassinet and too small for the stroller seat. I could snap her car seat on but I’m keeping the car seat in the car for now. My baby finally fits comfortably in her car seat and has better head and neck control but we are a walking family and love to walk around our neighborhood. Baby Carriers: The baby gear that I absolutely use everyday are my baby carriers. I didn’t originally put baby carriers in my original blog but it’s been a huge help with carrying the baby around while doing housework and going out for fresh air and running errands. 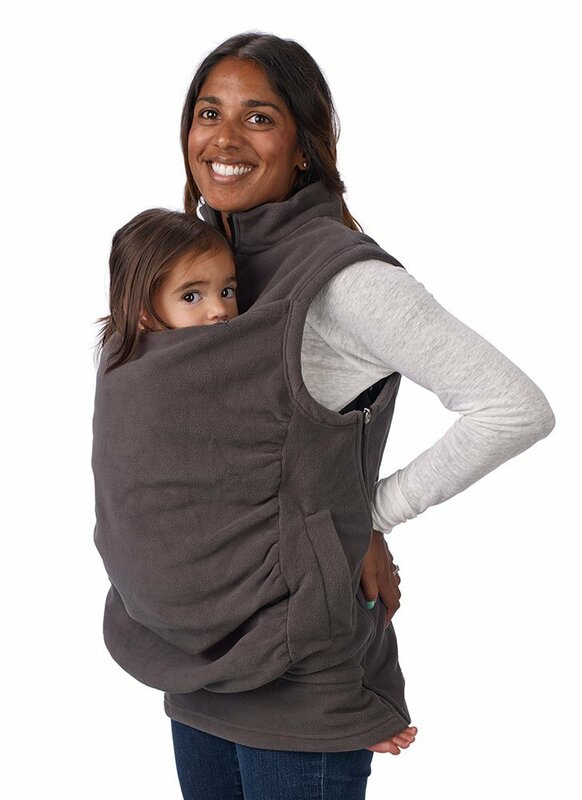 My must have’s for baby wearing: Ergo, Maya Ring Sling, Infantino carrier, and a few layer pieces that keep us warm in Chicago winters. I absolutely love my Infantino Fusion Flexible carrier. 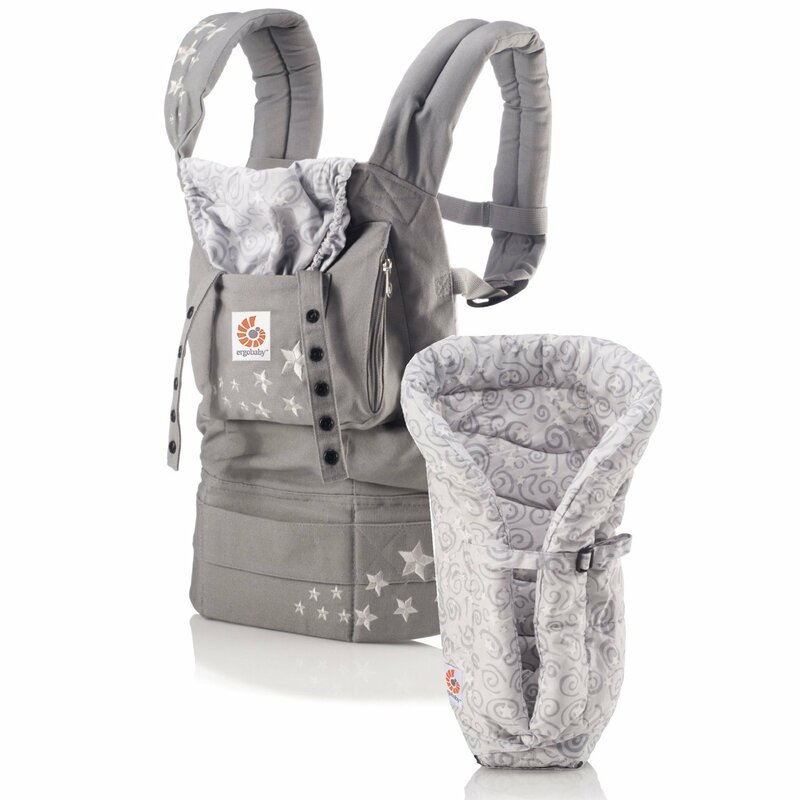 This is my go to carrier for the past few months because of it’s ease of use, lightweight, and flexible seating and comfortableness for my baby. At $40, this was my greatest investment. I purchased a few second hand Ergo carriers from mamas. 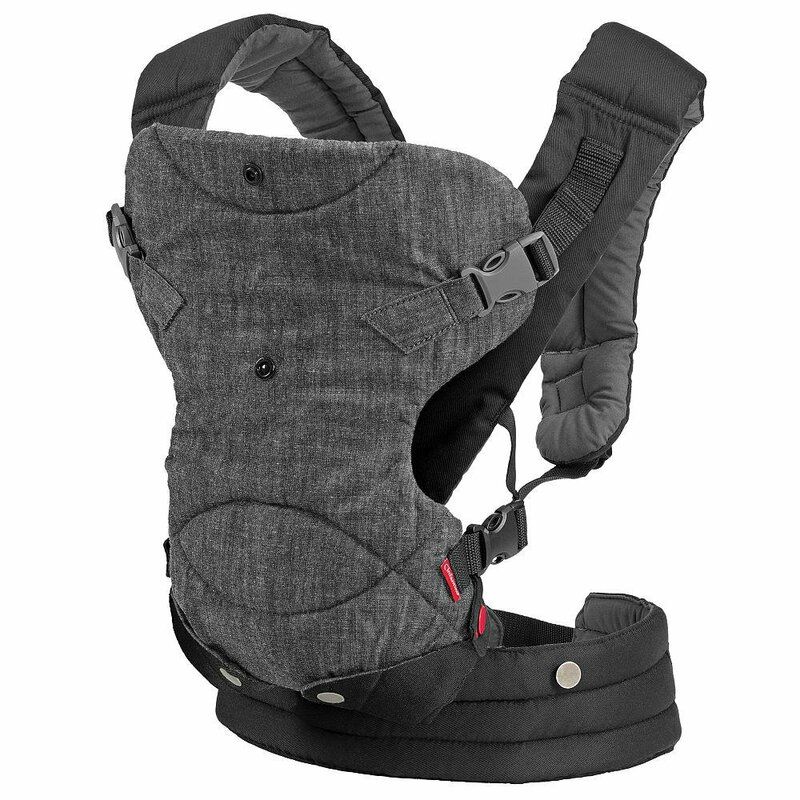 Ergos are highly recommended and well loved by mamas all over the world. With that said, research for counterfeit Ergos. Check out this mama blog on how to spot a counterfeit. In addition, check out the Ergo website for assistance. They average cost is around $120. I use my Ergo for longer outings when we’re out for more than a few hours. They are ergonomically best for parent and baby. And for the stylish mom, I have a few to match my outfits. The different colors are very sought after and addicting to try to find. I learned really quick that overdressing the baby when baby wearing was not a good idea. My baby hates it and having to peel layers off her was tough when at stores and restaurants. I highly recommend layers external from baby. I would dress baby as you would dress than a mommy sweater, then a mommy coat in the winter. 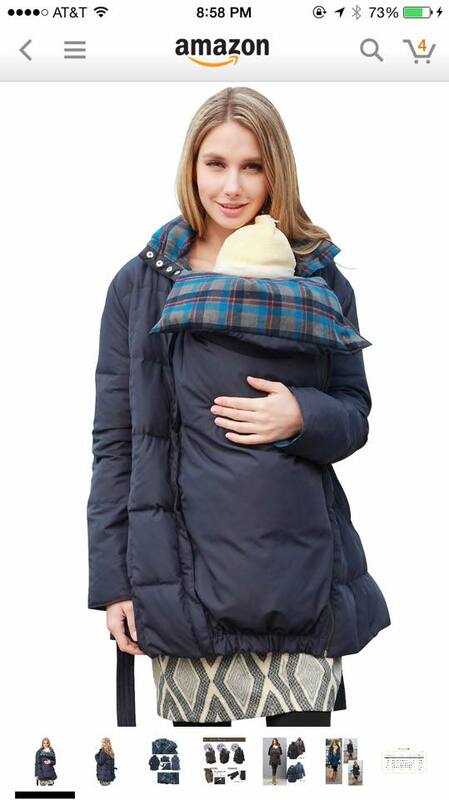 I found two wonderful pieces for baby wearing layers, the Boba fleece vest and my baby wearing coat. Both I love and when I posted it on the mama group pages, they were a hit. I dressed baby in her PJ’s with thick socks and hat. 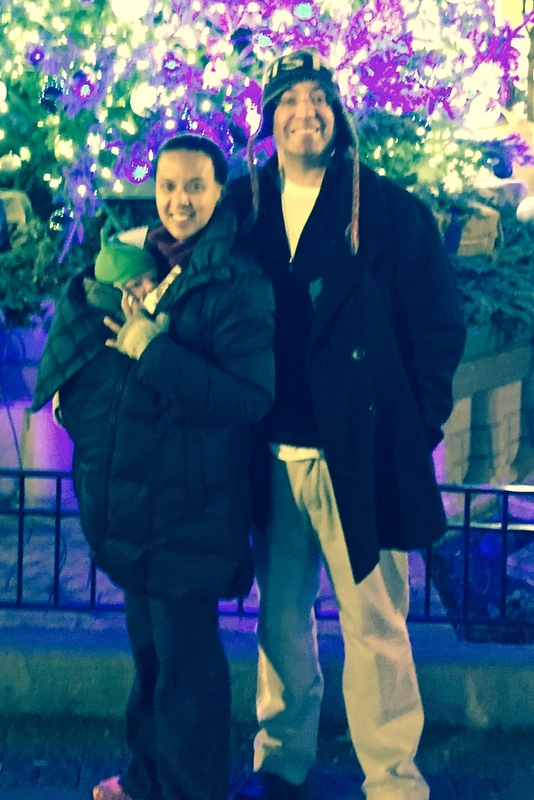 When we go out to eat or shop, I can take off my coat or vest and baby is warm enough with my body heat and comfortable. Pack and Play: Not needed unless you visit family and friends often. We’ve only used our pack and play once for an hour at my mom’s and it’s been there ever since. Feeding: I breastfed exactly three months and I’m happy with that, so is baby. She didn’t have problems weaning and took the bottle since birth. Yes, we formula feed… I’m not ashamed or here to debate. This is what worked for my family. My baby is growing happy and healthy with formula. I’m glad we rented the hospital grade breast pump for $70/month. It was useful while I had it but happy to give it back. The bottle warmer is not useful. We placed the cold breastmilk in a warm bath for a few minutes. These days, formula is mixed with room temp nursery water. The bottles, bottle cleaners, drying racks, and bottle sterilizers are well used in my household. Even though it’s recommended we don’t have to sterilize the baby bottles, we still do after a rinse. High Chair: We just started using it. Baby has better head and neck control and I started baby foods stage 1 exactly at four months. We’re at 3 weeks on solids (I’ll blog about it next week). 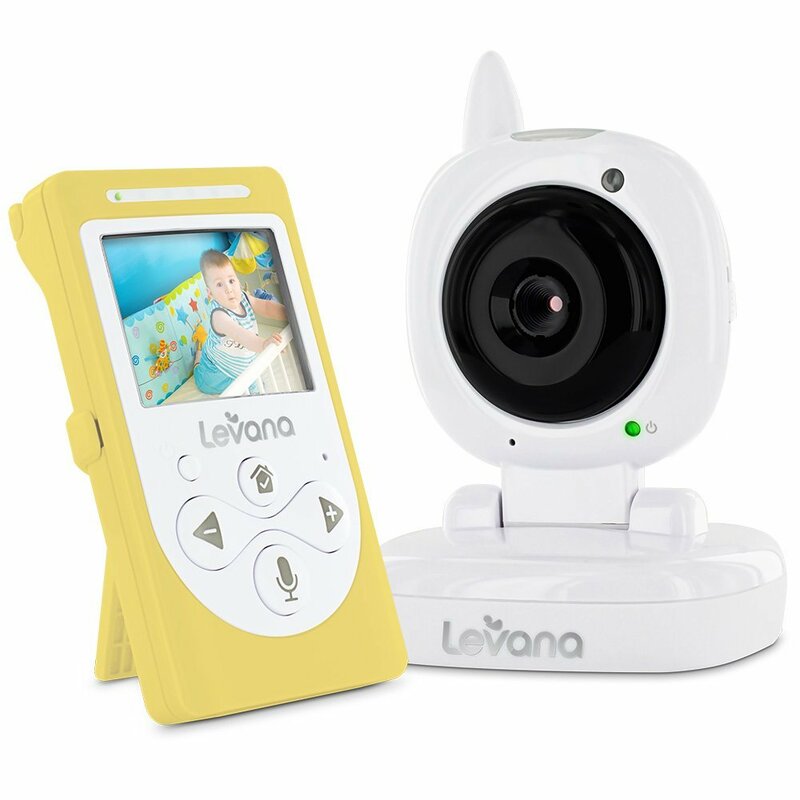 Baby Monitor: Very much needed for piece of mind. 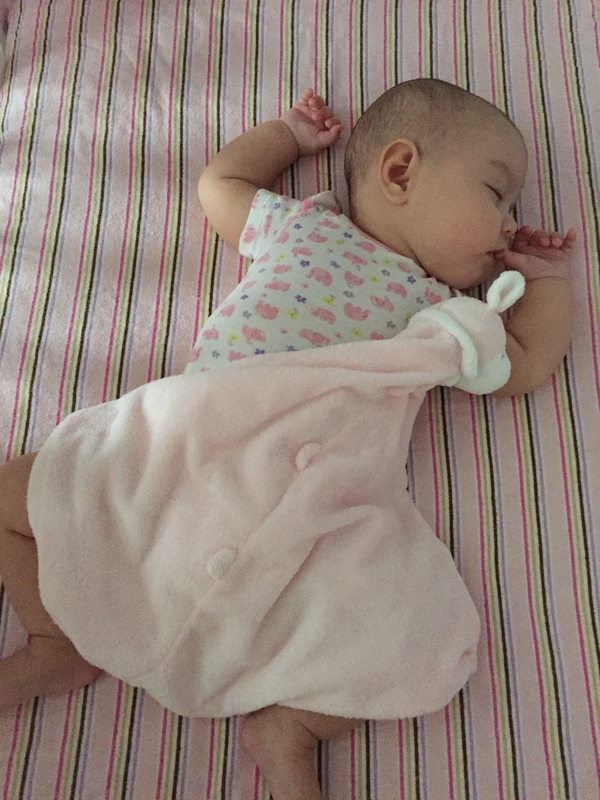 I was able to do lots of chores and eat with ease without having to check on the baby every 5 minutes. I purchased mine from Amazon. com for $90. It’s simple but just perfect for our needs. Forehead Monitor: I’m a pediatric nurse so I believe, yes, it’s very needed. I obsessively check my baby and luckily I check on the forehead, it doesn’t bother the baby. Rectal Thermometer: I haven’t used the rectal thermometer. However, it’s good to have when you need to know an absolute temp when the forehead thermometer is reading high. You’ll need to have a lubricant also. Teethers: Yes, this is good to have. I would recommend having 4-5 in case on falls on the floor or you lose one. My baby started drooling and chewing on everything since she was 3 months old. I think we can use this set up the rest of the 2015. We use this for tummy time, exercises, and activities. No naps or eating in here. It’ll be great for crawling and learning to walk but when the climbing starts, I’ll have to brainstorm again. 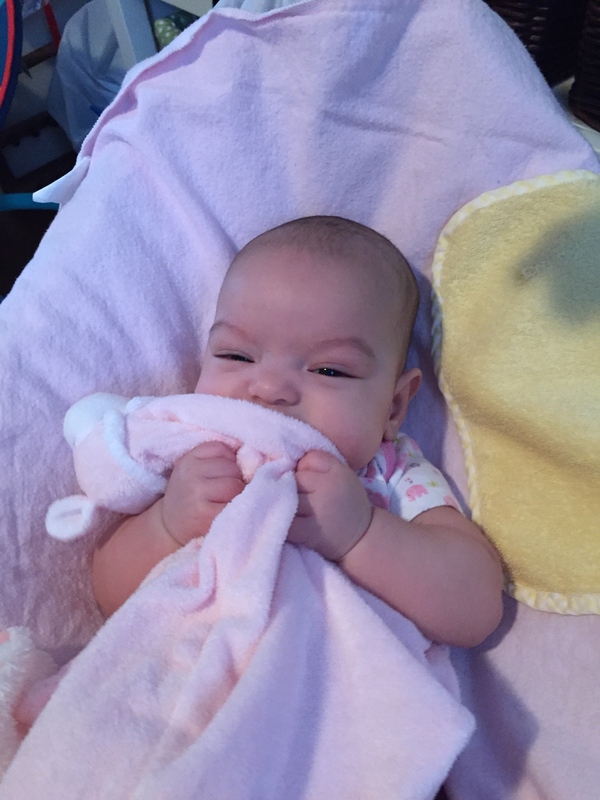 Pacifiers: A no go here.. Baby found her thumb. Toys and Books: Books are enjoyed in our home. I continue to find free ones from mamas in the neighborhood. We read 3-4 books/day. Toys, on the other hand, are not appreciated yet. There are a few pieces that are used but mostly a well loved lovey x2 is used as a squishy. 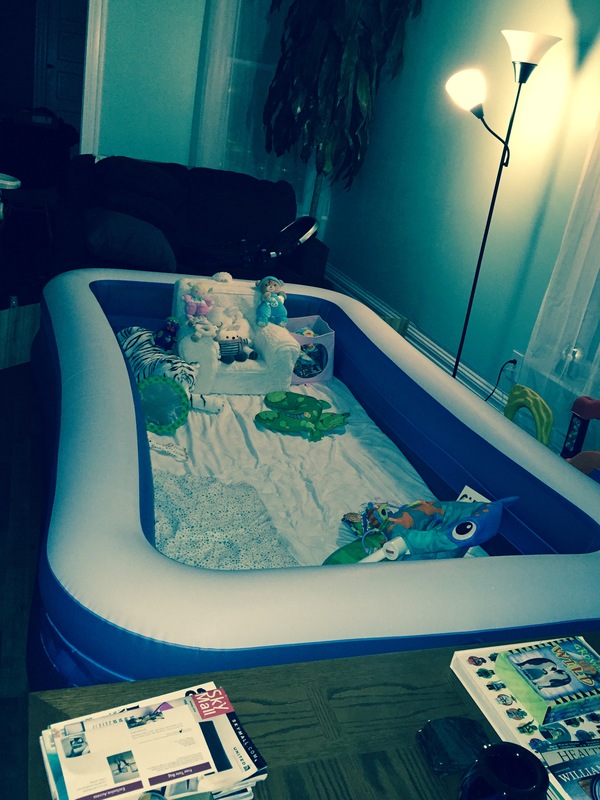 Bouncy Seat: We have not graduated to a bouncy seat yet. White Noise Machine: YES and YES. We have two; one that plays regular white noise and another that plays rain, heartbeat and such and a light projector for the ceiling. This works wonders for when you have a barking dog or a husband that watches TV in movie theatre style. Bassinet: Yes, this is a must have. I definitely recommend the Arm’s Co-Sleeper. My husband and I wheel this around all over the house; kitchen when cooking, bathroom when using the bathroom :), and just bringing the baby wherever we go in the house. This was definitely the best $50 second hand purchase I’ve made. Moses Bassinet and Changing Table Pad: Not needed. We can change the baby anywhere. 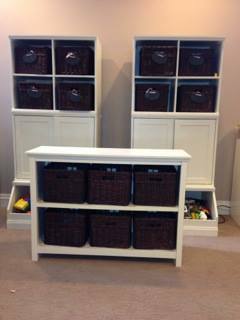 Pottery Barn Furniture: Since this was free for me, it’s well used and appreciated. The extra piece I added to the nursery was actually a DIY clothes rack (see DIY blog, posting soon). I needed a clothes rack that didn’t take a lot of room and small enough so that when my baby was able to pick out her outfits, she can reach her clothes herself.